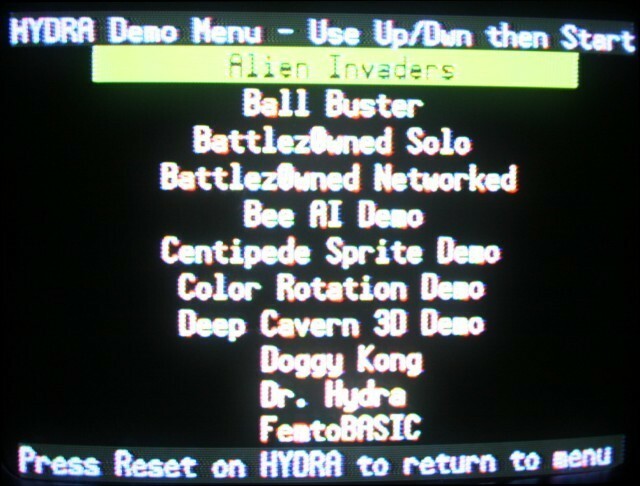 Supports Standard SD card media from 64MB to 8GB. 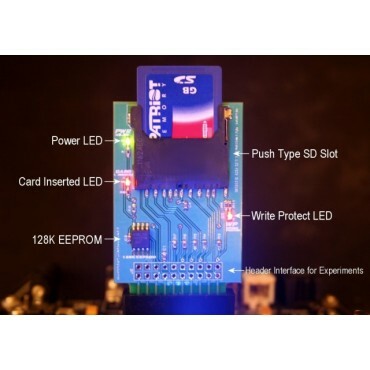 Design supports IO signals for Write Protect, andInsertion Detect. 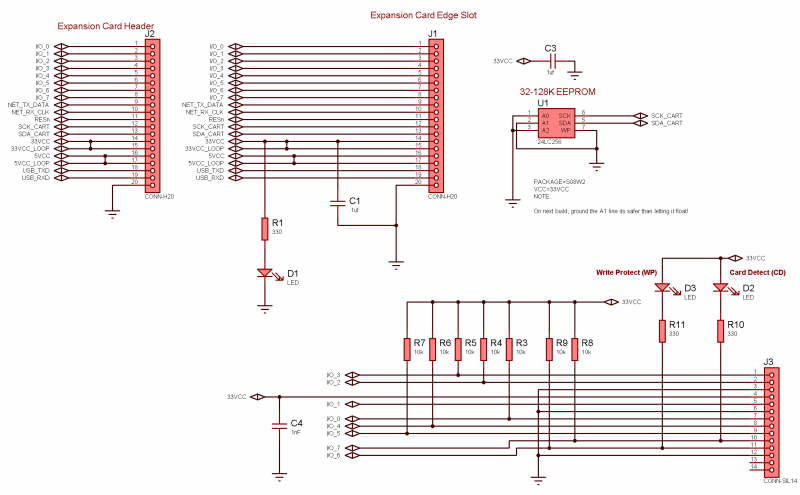 Design supports SPI, single wire and parallel SD modes. 80+ page tutorial eBook on SPI, SD protocol, FAT16, and the complete development of the API and driver. 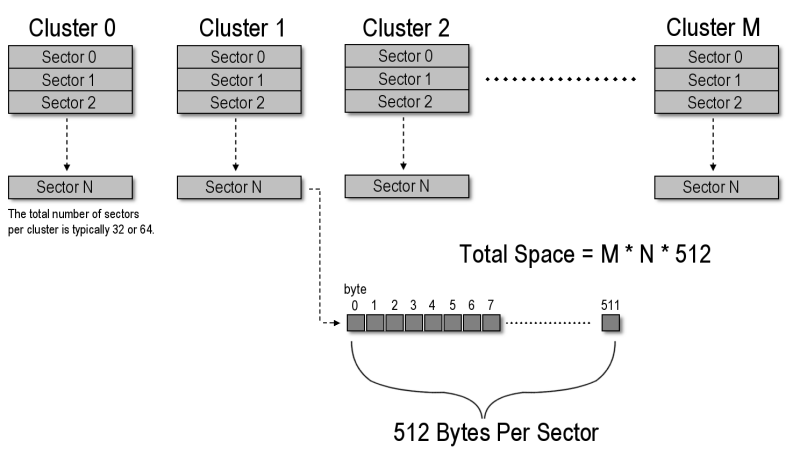 HYDRA SD Max Manual Sample (.pdf). 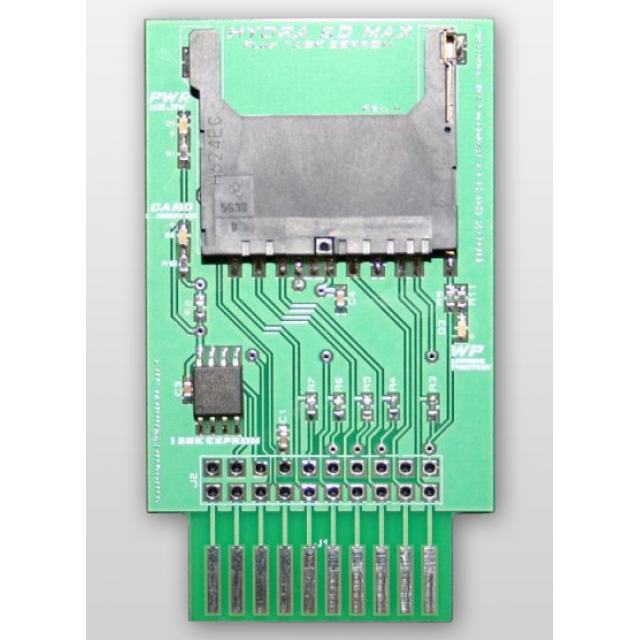 The HYDRA™ SD Max Storage Card (HYDRA SD MAX) completes the HYDRA™ system expanding the capabilities of the HYDRA to read and write SD cards via the HYDRA expansion port. 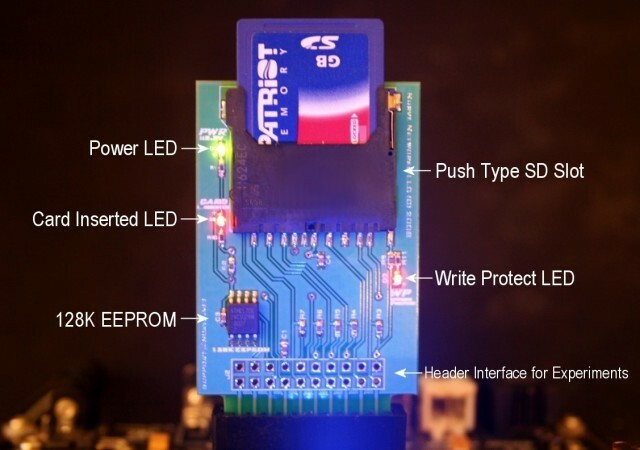 The HYDRA SD Max card also comes equipped with a 128K EEPROM onboard, so driver firmware can be loaded right on the card. 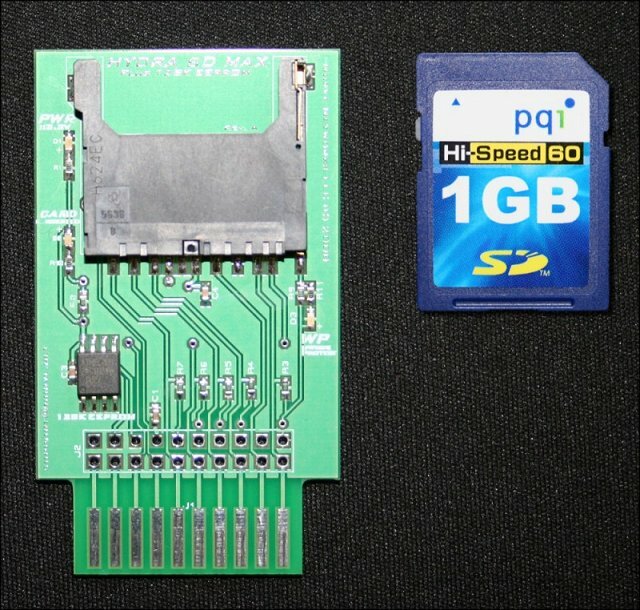 The HYDRA SD Max comes with 1GB SD card pre-formatted FAT16 as well as a complete eBook (in PDF form) describing how the sample SD card drivers work from the ground up. The manual covers SPI (serial peripheral interface), SD protocol, as well as a complete treatise on DOS FAT16 file systems to get you up and running with SD card media. 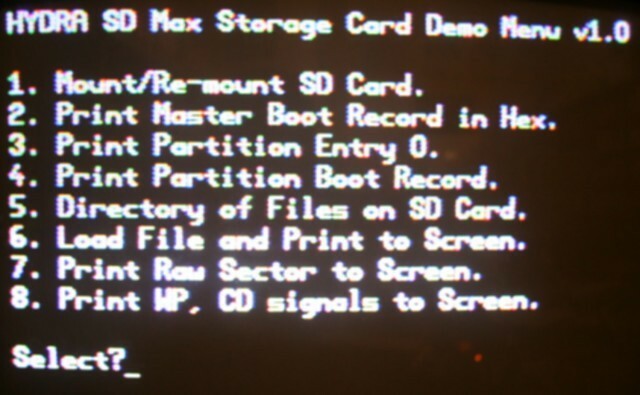 With this knowledge you will be able to write your own low level drivers or interface your SD cards with the PC. 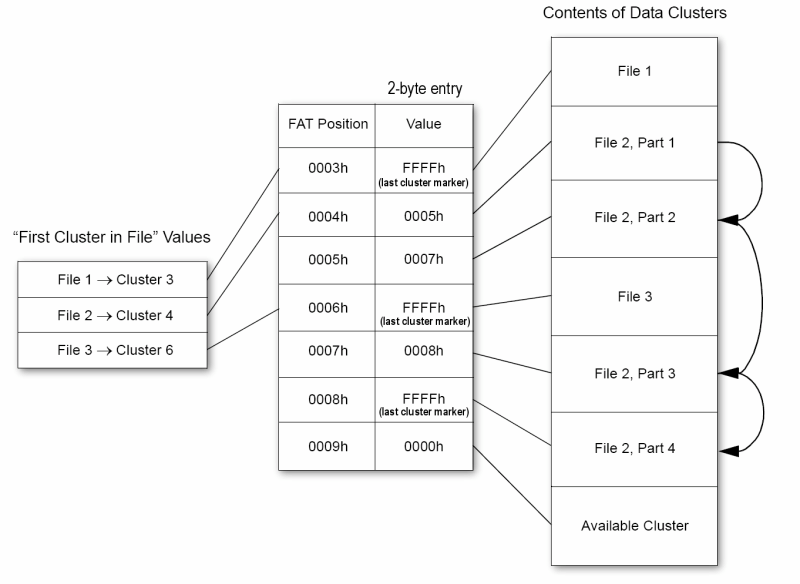 Additionally, a complete SD card driver API is included with source code and examples along with detailed explanations and tutorials in the manual. 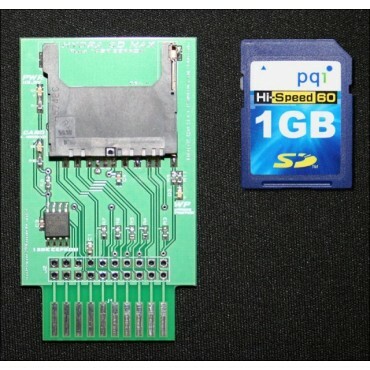 HYDRA SD Max Storage Card.